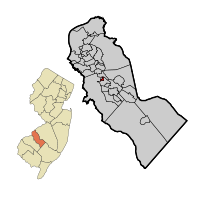 Hi-Nella NJ Real Estate Info is about this tiny area within Camden Co. This particular area is one of the smallest areas within NJ by size and population. As you will see below - even the town fathers are confused on the spelling! In one section they call it High-Nella and the very next line it is Hi-Nella. Worse, they spell their type of government with a "u" in it - Borough - so who knows!? !